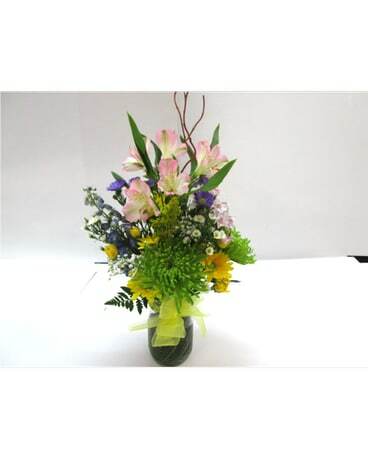 Mason jar filled with delphinium, phlox, daisies, alstromeria, green fuji mum, monte casino and solidago. For delivery to Worcester and surrounding towns. If the system will not accept your town, please call us at 508-853-2550 to check for availability.